Apple’s iPhone and an army of Android OEM flagship phones all have one thing in common, they’re priced out of reach for some. ZTE has been trying to bring great phones within reach without sacrificing design and quality. The company has been seeing some success in the U.S., and now they’re getting ready to release the latest Axon phone on May 26th. This phone is a collaboration with BMW Designworks and the company is excited to turn some heads with quality and design as well as price. The only thing we know for certain about the Axon 7, as it’s being called in the video above, is that it’s a sleek design created with BMW Designworks and there has been a rumor that it will come with a 2K display. In the video you can also see that it comes with dual front facing speakers which is pointing to some sort of premium sound offering. The VR headset logo is dropping hints as well but we’re not clear what that could be. Assuming this is a midrange smartphone, some of these features are nice to have in the midrange price point. It’s hard to really tell what BMW Designworks has done here but we’re hoping it’s something spectacular and unique for the midrange price point. ZTE makes some nice phones and we reviewed one of their budget devices here on Techaeris and walked away impressed. We’ll see what ZTE and BMW Designworks unveils on May 26th. We’re not positive the Axon 7 will have a U.S. release but there is a good chance it will. 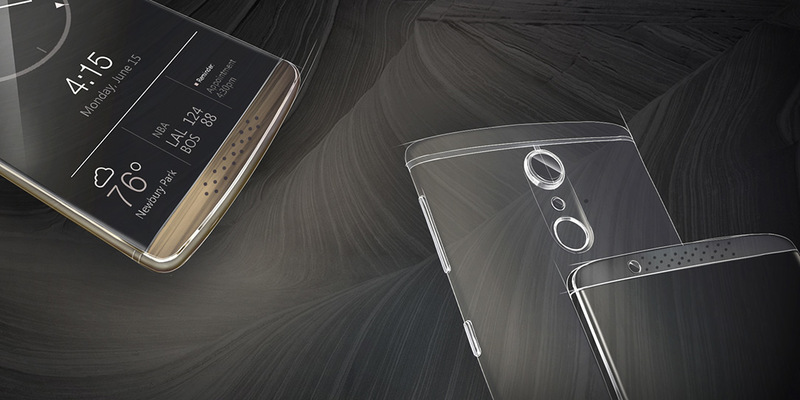 What do you think of the ZTE and BMW Designworks collaboration on the Axon 7? Have you used a ZTE phone before? Let us know in the comments below or on Twitter, Facebook and Google+.